Blogging that started as a personal journal has evolved greatly and has become an important marketing channel for businesses and their brand development. 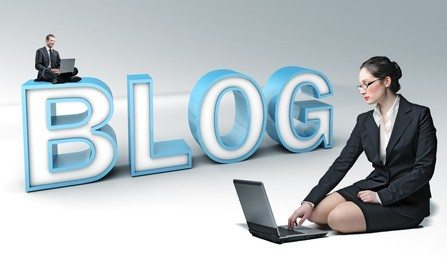 Business blogging is a marketing medium through which businesses can get increased online visibility as it helps to drive traffic to the business website and helps to convert that traffic into leads. By hiring professional branding services businesses can establish authority and drive long-term results through their business blogs. In order to develop and maintain business blogs, it is necessary to know the significant aspects that make them successful. Blog name: Deciding on a blog name for the business is no cakewalk and needs thorough research on it. Being a part of brand development, your blog name should be unique and reflect what its content would be. URL: A uniform resource locator (URL) is the address of a web page and indicates the protocol used to access the web page. For a successful business blog, the URL should be simple and easy to remember and preferably the URL should contain the domain name the business controls. Business blog URLs can be created either by setting up a subdomain (such as blog.abc.com) or subfolder (abc.com/blog). Business owners should consult professional branding services experts and decide what kind of URL is feasible and suits them the best. Blog design: A business blog relates to the brand value of the business hence, the design and style aspects of the business and brand should reflect in the blog design as well, according to the branding development companies. A business blog design should be unique enough to stand out in the crowd of thousands of blogs and other social media channels and at the same time easy to read. Content: Business blogs differ from other blogs so, they need to have content that is resplendent with professionalism and yet engages the customers well. Content should be related to the business and industry and involve topics that are potential to garner interest towards the brand and if possible resolve any queries that the customers have. If utilized effectively, business blogs can not only increase traffic and provide leads but also help in developing better customer relationships and position the brand as an industry leader. To create a blog for your business that helps in brand development, consult Accuprosys, one of the best branding development companies in Hyderabad.